I've said it before and I'll say it again... College is overwhelming. 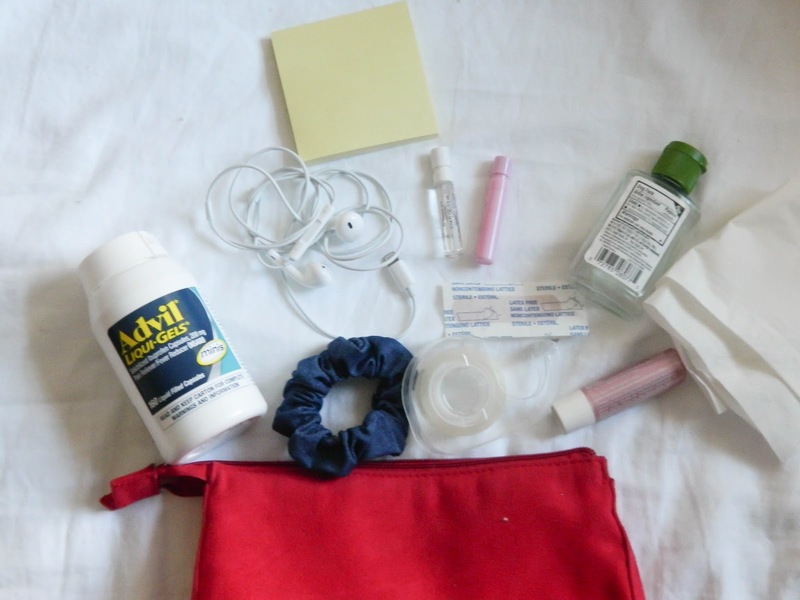 Today I wanted to talk about a few items that I like to keep in a mini college survival kit. I'm always thanking myself for keeping these things on hand, because you never know when you'll need them! Hover over the image above to start shopping the survival kit items! I always feel like it's important to keep a few health/first aid necessities with you at all times in college. I recently came down with an awful cold, so when my head was aching these Advil® Liqui-Gels® minis 160ct came is so handy. These are definitely an essential for me to keep in my survival kit. One of my favorite aspects of the Advil® Liqui-Gels® minis 160ct is that a 33% smaller pill that's easy to swallow and contains the same strength as the regular size. I've never liked swallowing large pills, so these minis have been an absolute lifesaver! The product can be used for relief of headaches, muscle aches, and joint pain. I conveniently purchased these from Target.com. Check them out online here! I was so pleased with the fast shipping. From 10/29-11/18, get $5 off with this Cartwheel offer. Am I the only one that always cuts themselves on random surfaces? Mini bandages are definitely a good thing to keep with you. I always find that I'm the only one that keeps these with me, so my friends are always thankful! I'm a freak about hand sanitizer. I (usually) manage to avoid getting sick. Although hand sanitizer isn't better than washing your hands, it's definitely better than nothing. If I'm out at class or somewhere that a sink isn't available, I'll grab my hand sanitizer. I love the mini bottles because they fit right in your survival kit and don't take up too much space! I absolutely hate being caught without my tissues. They're just one of those things that you never know when you'll need them. These little perfume minis are the cutest, and they're typically free with either purchases or the larger bottles of perfume. They're great for throwing in your bag for refreshing throughout the day. I recently got really into scrunchies. They're much more gentle on your hair and they even look cute around your wrist! I often find myself wishing I had some sort of hair elastic every time I don't keep one with me. I decided to just keep one in my kit to ensure that I always had one. More times than not I forget to put on lip product before leaving. 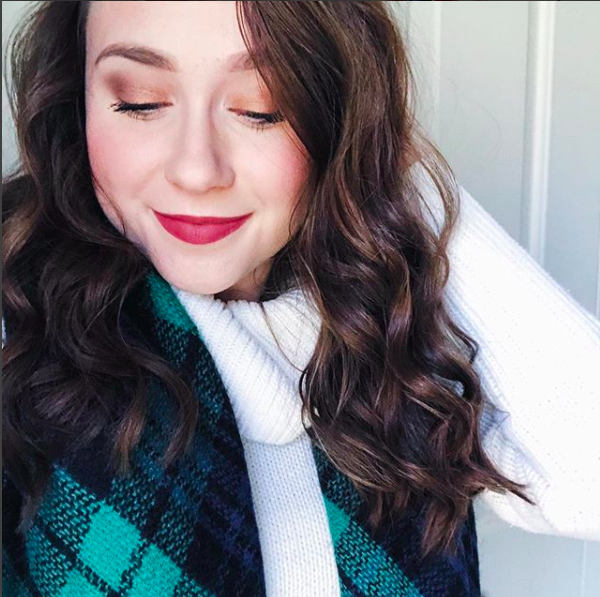 Am I the only one that feel ridiculous with a full face of makeup and no lip product on? Let me know. I keep a tinted lip balm with me in case I forget to put something on my lips in the morning. Tinted lip balm is perfect because it's hydrated AND adds a flush of color to your lips. I like to keep sticky notes with me if I need to quickly jot down homework or a reminder that I don't want to scribble messily into my planner (planner obsessed okay...). I just write whatever I need to down on the sticky note, stick it in my planner, and write it down in my planner neatly later. This helps me get all my assignments down without having to worry about forgetting them or making my planner look messy. I know some people love listening to music on their way to class, but I usually just keep these with me because I find that I need them for in class activities all the time. I'll occasionally listen to music if I have a long walk across campus, but I usually like to try and enjoy my walk and listen to what's going on around me. Tape? Yeah. I don't know why, but tape has come in ridiculously handy. I needed it in class a few times and decided to just keep it with me in case, and I've actually used it quite a lot. If you forget to staple a paper (I do it allllll the time) you can quickly tape the edge together. Not sure why, but some professors get super annoyed if you don't have your papers stapled together. Let me know what you keep in your college survival kit! I agree, Advil is compulsory to keep in college survival kit. Your list of things looks solid. Thank you for writing this for us.